Horsepower comes in all shapes, sizes, and cylinder counts. But, for the import inclined, making big-power inevitably requires more robust engineering. Unlike a big V8 that spreads the load over 8 pistons, a high-strung 4 cylinder needs extreme cylinder pressure and rpm to make the number. It’s an Everest-sloped challenge, but one that has no shortage of willing contenders and checkered flags on the summit. Turbos, nitrous, and blowers do a too-easy job of providing the necessary power boost to run the number. However, getting that horsepower through the engine, transmission, and chassis is the black magic that separates first and second place. Diamond Pistons has long been a supporter of import racing and stood at the front line as FWD-class e.t.s saw 12s, 10s… and now times as quick as 7s in the ¼ mile! As e.t.s continue to drop, they’ve used their considerable engineering experience to build pistons able to take the unending racing abuse. The Rebel Series Pistons combine Diamond's decades of import racing and engineering experience into one readily available piston ready to take the abuse. 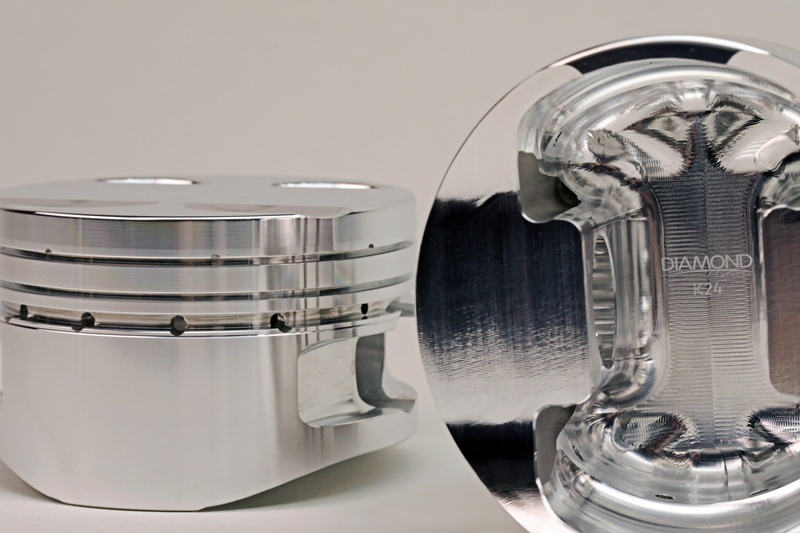 Building a piston to live with over 1,000hp in a 4-cylinder application–a bare minimum in today’s racing environment– takes considerable skill. It also, historically, required a custom-made piston that took several iterations of development and testing to get right. The latter is no longer the case. 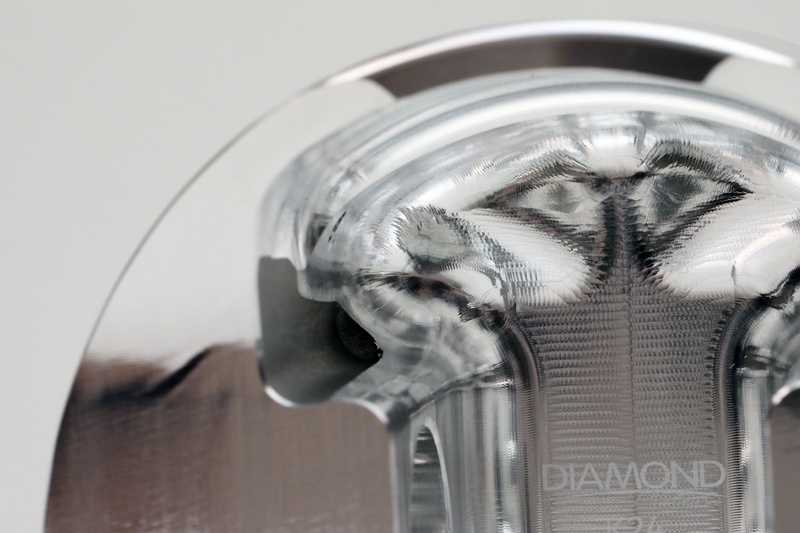 Diamond’s new Rebel Series pistons are the first shelf-stock Honda pistons ready for quadruple-digit power–and they have quite the racing pedigree. Following in the lineage of the LS2k program (a shelf-stock piston for LS engine applications ready for 2,000hp), the Rebel series combines years of race-derived knowledge and a host of high-end features and packages it into a shelf-stock design. This tremendously cuts down on lead time for engine builders and racers alike. The Rebel Series will be available for B and K series engines in popular bore and stroke considerations. They are compatible with all-out race engines and high-horsepower street engines alike. 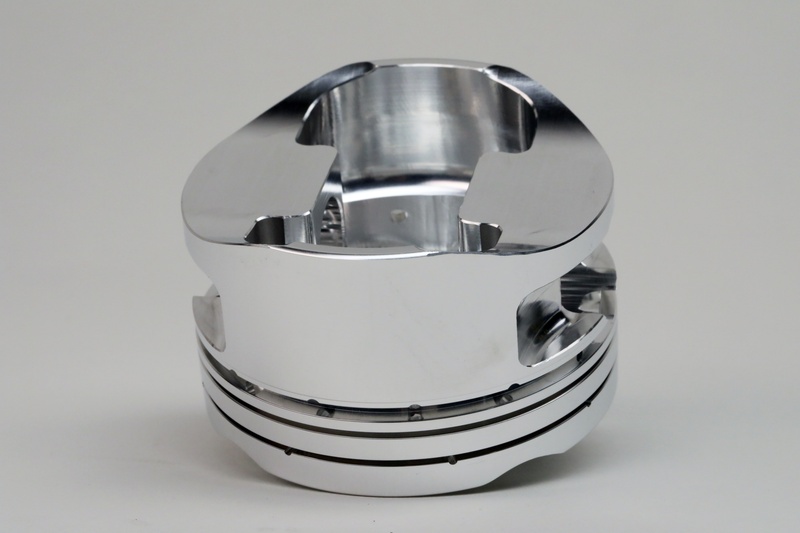 In addition to the high-end Total Seal ring pack, Rebel series pistons play host to several racing derived features such as lateral gas ports, to increase ring seal, and oil retention grooves, which keep a reserve of oil just under the oil ring to help the piston effortlessly glide in and out of the bore at high rpm. All Rebel Series Pistons use wrist pin buttons instead of convential spiro locks. Pin buttons provide more support to the ring lands as well as eliminate the possibility of lock failure in extremely high cylinder pressure situations. What Makes The Rebel So Strong? 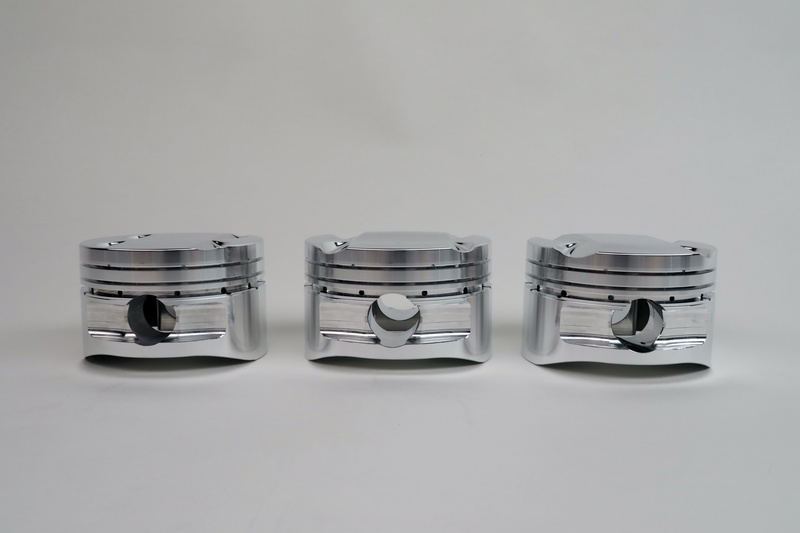 Rebel pistons are fully machined to ensure material, weight, and strength are maximized. Crown and ring lands are exceptionally thick to take the heat 1,000+ horsepower creates. 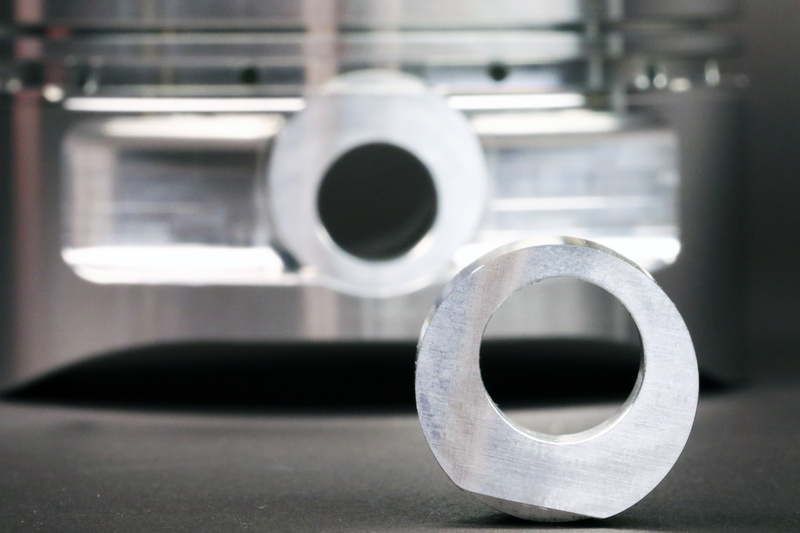 A full round forging rigidly bolsters the circumference of the piston, and also features a wider pin to help spread out the load of high cylinder pressure. That skirt shape, combined with the strength of the Rebel’s dedicated 2618 aluminum forging and Tool Steel wrist pin are major factors in its quadruple-digit horsepower carrying capacity. But another detail that makes it ideally suited to high-revving Honda applications is full center balancing. Part of the Rebel's strength comes from it's full-round skirt design and dedicated 2618 aluminum forging.